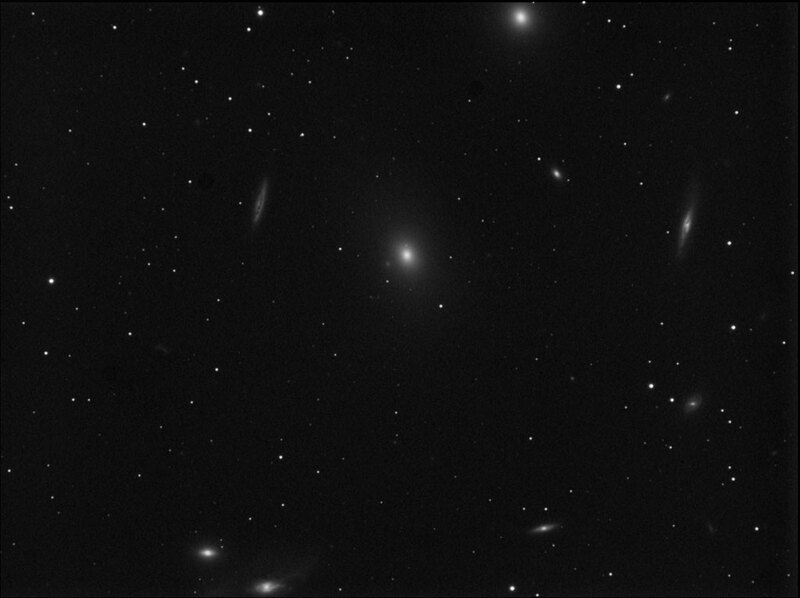 Elliptical galaxy M86 lies at the centre of this image of the Virgo Cluster by Adrian Brown, taken on the night of the 3rd April 2006. The picture was created from eleven 5 minute exposures taken with an ATK16HR camera and Astronomik LPR filter through an 80ED refractor. Adrian comments that the Moon created fairly bright sky background gradients and that he removed these via Russell Crowman’s GradientXTerminator plug-in for Adobe Photoshop. Elliptical galaxy M84 lies near the top edge of the picture. 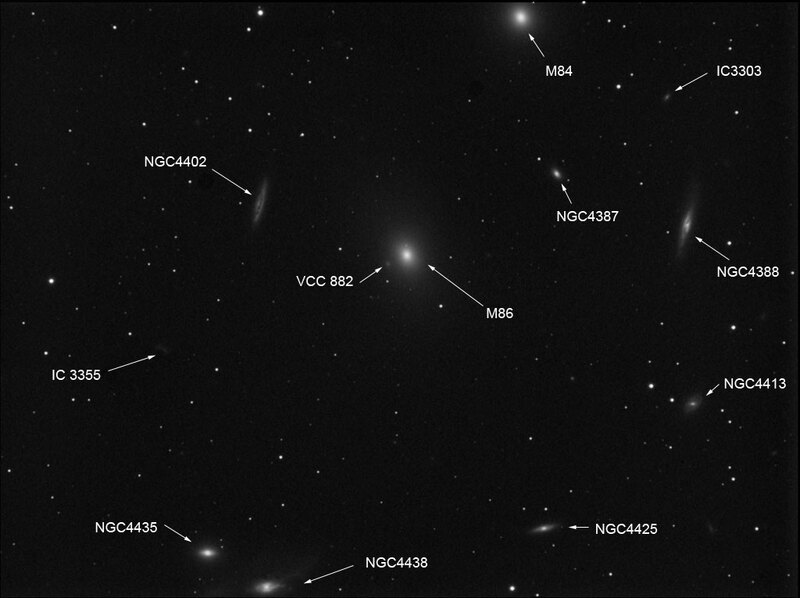 These and other members of the Virgo Cluster of galaxies are labelled in an annotated version of the image below.